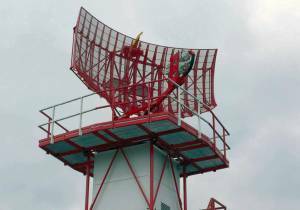 The ATC primary surveillance radar “Morava” M10 is developed in accordance with the requirements of ICAO and Eurocontrol and produced in Kunovice (Czech Republic). 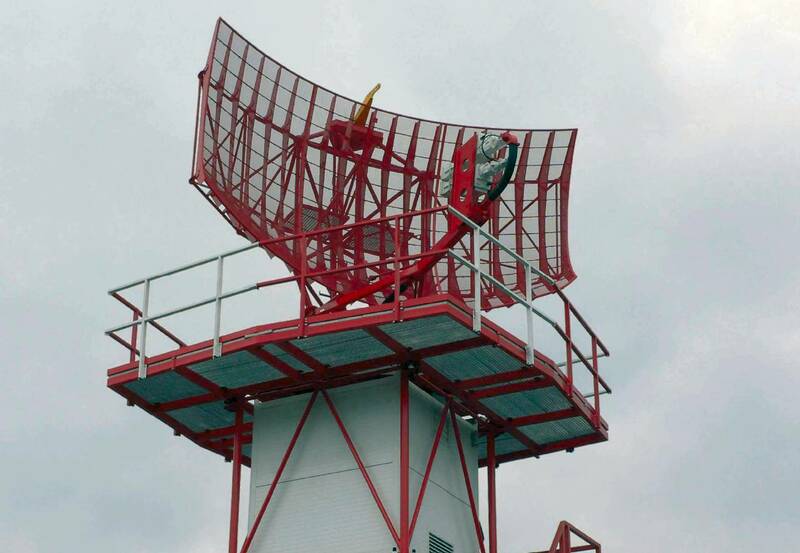 It is a fully solid-state S-Band radar and features high-modular and fail proof design with low maintenance cost. The PSR “Morava” system consists of an antenna module to be mounted on the tower and a shelter holding the instrumentation. The antenna consists of a double-curvature parabolic reflector with two feedhorns and provides a cosecant squared coverage diagram. In case of receiving the antenna pattern is divided in a lower and an upper beam to ensure a high performance of the radar even under severe ground clutter conditions. Polarizers included in the waveguide system and controlled by the user software make possible switching between the linear and circular polarization which significantly improves weather clutter attenuation. All important system units are doubled and in the event of malfunction the backup channel is automatically employed. The turn table is fitted with a dual motor driving system and two azimuth position encoders for redundant operational availability. The transmitter consists of a fully coherent solid-state, air-cooled modular system using 12 amplifying units and safe power supply. The modular system allows uninterrupted operation during maintenance procedures. The waveform is alternating a short pulse of 1 microsecond and an intrapulse modulated long pulse with a length of 75 microseconds using non-linear frequency-modulation. The bandwidth of the transmitted signal allows a digital pulse compression with a compression ratio of 75. The short and long pulses are generated by digital frequency synthesizer. The receiver is a superheterodyne type with dual conversion and built-in test equipment. Intermediate frequency analog-digital signal conversion provides a high dynamic range of the receiver. A digital system of processing radar signals uses moving target detection technique and supports a high probability of target detection by minimized false alarms. Output data come in ASTERIX or in other formats if requested. The radar information is presented on user friendly PPI-scopes and Control and Monitoring System (CMS) terminals running on Linux OS machines, providing recording, restoring and statistical analyses over a long time.